This hole will play shorter than the card says. 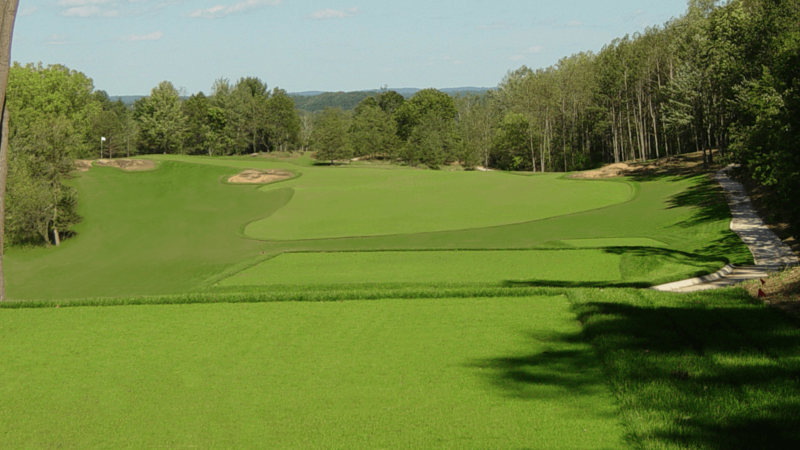 The left side of the fairway will give you the best angle to the green. The green is fairly small and has lots of undulation. 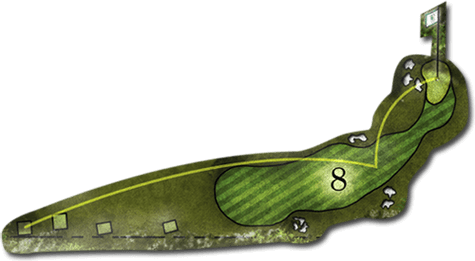 A precise short iron is necessary to avoid the trouble that surrounds the green. You do not want to go long!